Google+ Local is the fancy new name for the service that was once known as Google Places. (What is Google+ Local? Check out our primer to see what it can do for you.) It provides searchers with location based results on Google, and includes a map of the area with pinpoints for each business location. 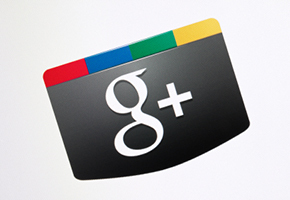 Having a presence on Google+ Local is extremely important to your restoration or cleaning business. In fact, in today’s market a Google listing is even more important than having your company listed in the classic Yellow Pages. If you haven’t signed up yet, do it – it’s free and will take you less than 15 minutes. Doing so opens your business up to the billions of searches happening each month on Google. Claim your profile. Make sure that you have claimed and verified your page, confirming you are the owner of the business. This is the first step to being able to optimize your page. Complete your profile. Confirm that your business information is correct, including its name, your name, phone number, hours of operation and website. Add any information that is missing. Add media. Make sure you have a great cover photo, as well as other high-quality photos of your carpet cleaning company in action. They don’t need to be taken by a professional, but the better they are, the more traffic your page will attract. Google+ is VERY “visual-centric”! Unify your business information. Make sure that your company’s information is accurate across the Internet – from your Google+ page to your website and other social media outlets. 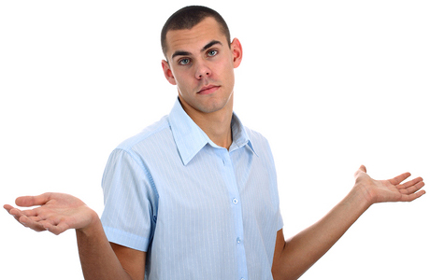 Varied information can cause distrust from search engines which will automatically lower your rankings. This means if your website says 123 Main Street your Google+ Local page should read the same, not 123 Main St. That is different enough that it can cause issues in searches. Optimize your location. Instead just putting down the general region, specify the area. For example, Michigan is extremely broad, whereas Southeast Michigan is more specific and metro-Detroit is even narrower. Be as specific as you can without excluding areas you offer carpet cleaning services to. Increase citations. Citations don’t necessarily have to be links back to your site – they can be simple mentions of your business. For example, a citation might be an online yellow pages directory where your business information is listed. The more citations you have with credible sources, the higher your business will be ranked. Again, remember your company’s information, particularly the address, must match your Google+ Local listing address exactly. HINT: See where your competitors are getting their citations and post your listing to those sites as well. Link to your Local plus page consistently. Use your website to regularly post links to your Google+ Local page. Obviously you don’t want to over-do it but place these links back where reasonable. Use Google+ as a social media platform. Make yourself more visible by taking advantage of all the services Google+ offers, not just their Local listings. You don’t need to spend massive amounts of time on this, but a small amount of new content posted regularly is extremely powerful. It will help your Google+ Local page more than social media sites such as Facebook or Twitter. Get more followers for your Google+ page. Ask your existing customers to give you a follow on Google+, which will give more credibility to your Local listings page. 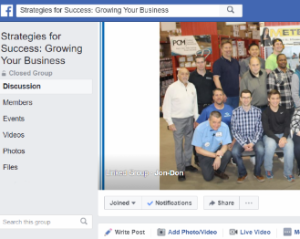 Employing these tips should help you move up the rankings in Google+ Local, giving your restoration operation or carpet cleaning company a better position when someone looks for service providers in their area. Tell Us: Have you managed to make it to the top of your area’s Google+ Local listing for carpet cleaners or restorers? What have you found to be the most effective thing to do to increase your rankings? Share them with SFS readers below. 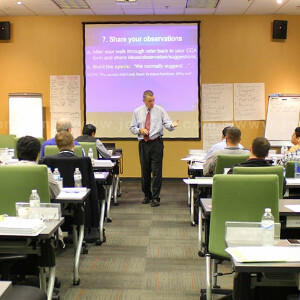 A valuable site for the small town carpet cleaner who’s looking to expand their knowledge. I agree with your advice and look forward to reading your articles on best practices for the carpet cleaning industry. Keep up the great work.